A View of the Drawing-Office of Hoefler & Company, Manufacturers of Phonograms & Allophones. Special Designs & Estimates Submitted on Enquiry. Write: H. & Co., Houston-Street, New York. 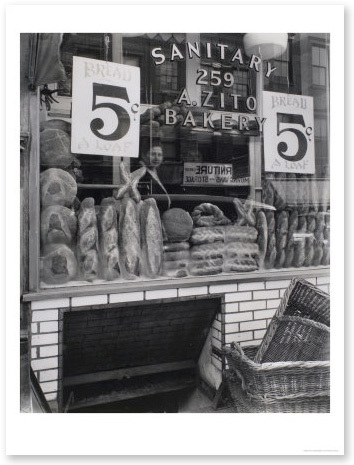 Hot on the heels of my open question about artists and fives, I came across this marvelous photograph by Berenice Abbott featuring a pair of gorgeous fives in starring roles. Abbott is best remembered for Changing New York, her seminal collection of photographs that documents New York of the 1930s; it’s both an inspiration and a great resource for designers, especially typeface designers whose work is influenced by the public sphere. Our own Andy Clymer as returned from a trip out west with some fine photos of Las Vegas’s infamous neon boneyard. 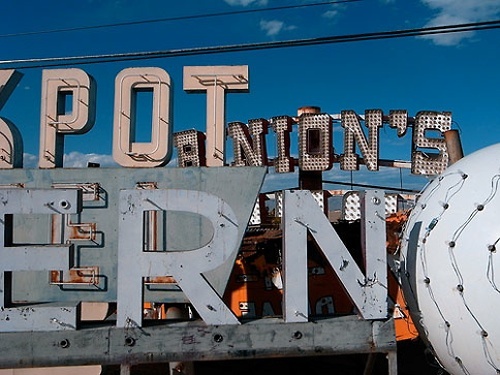 A project of the Neon Museum, a nonprofit organization dedicated to the preservation and study of one of the nation’s great lettering traditions, the neon boneyard is of course located in the Las Vegas desert: an ideal climate for preservation, and convenient to the center of the energetic neon carnage of the 21st century. A visit to Shorpy inevitably lasts the rest of the day. 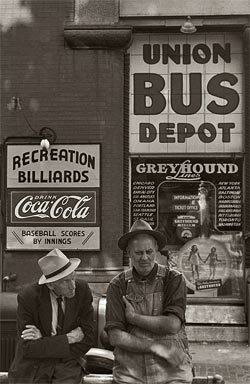 This tremendous archive of hundred-year-old photos has much to recommend it to anyone interested in period typography: the optimistic lettering of the New Deal is well represented, and there’s an excellent cross-section of sidewalk Americana as well; entertainingly, the whole collection is leavened by an undercurrent of quiet menace that I find delightfully surreal. There are impossibly old photos from Antietam and significant ones from Kitty Hawk, but it’s candid images like this that I find the most striking. 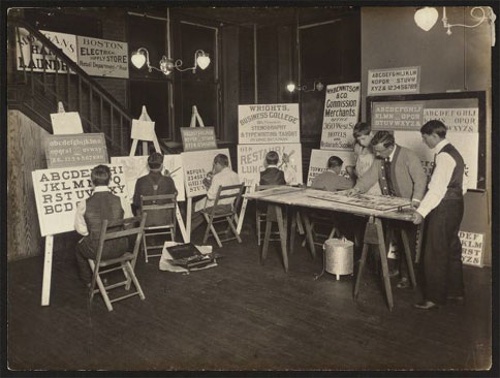 For while it’s their farmers and seamstresses and street urchins who draw focus and take center stage, the true subject of these photographs is the lettering in the background, and the thousands of invisible hands responsible for every single letter. 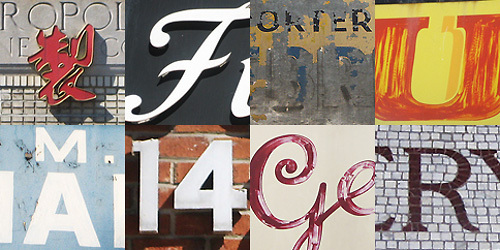 John Kwo posted this Flickr set with some beautifully crisp photos from the type tour. Don’t miss some of the great inscriptional lettering to be found on lower Manhattan’s municipal buildings, including these spirited NH and TT ligatures. More goodies from Matt Sung, again on Flickr. 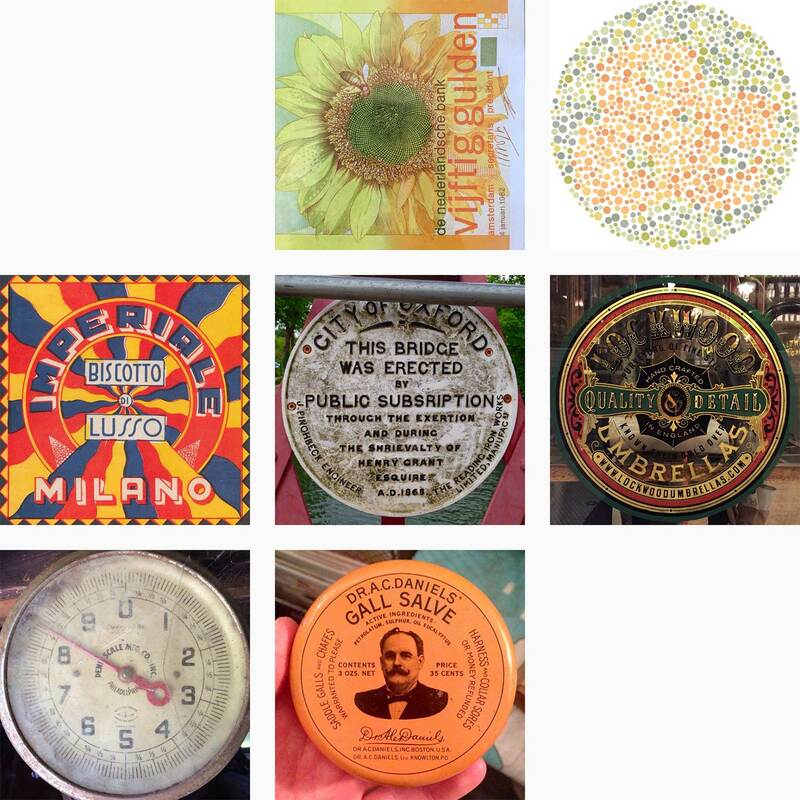 Matt definitely shares our thing for distressed typography!